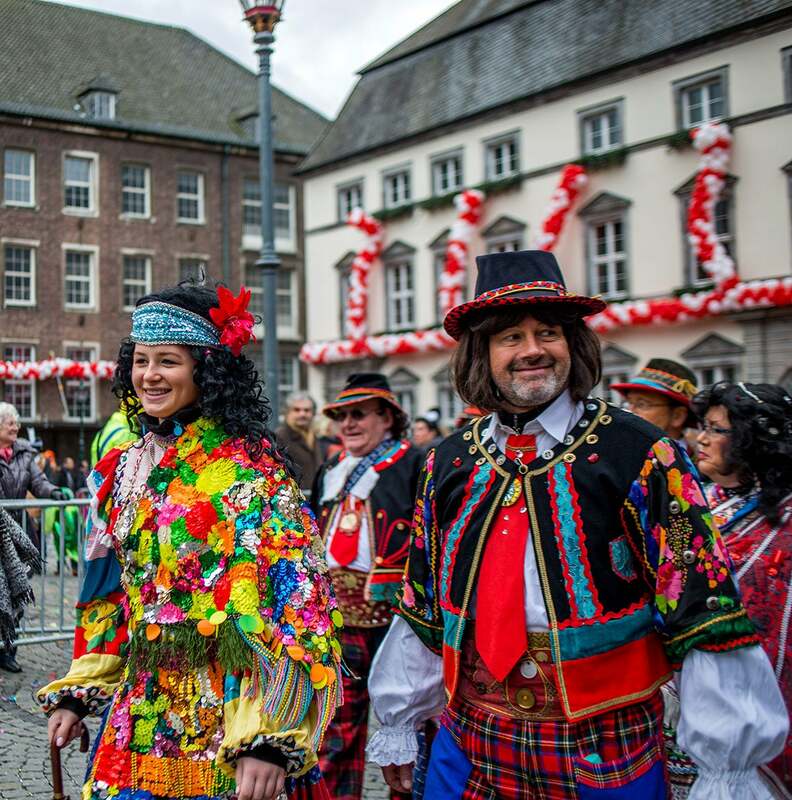 Traditional costumes, full of color and expression. There were a lot clowns costumes, a lot. These folks were just out to have a good time. 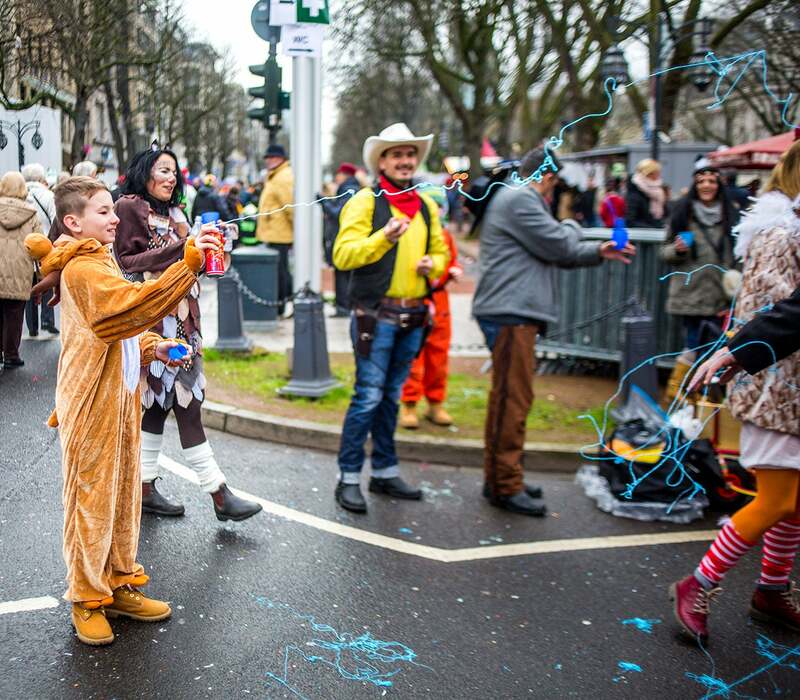 Children are definitely a part of the celebration of Dussledorf Carnival. 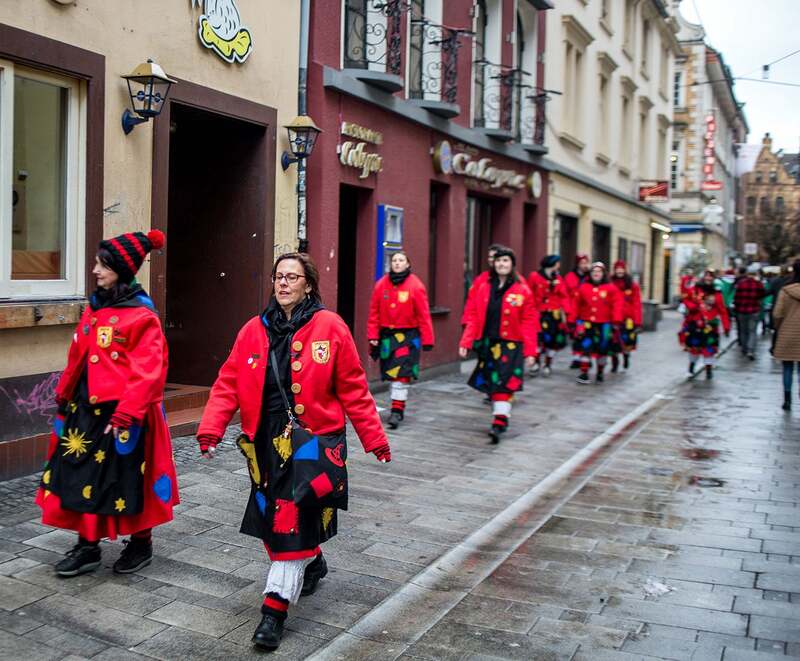 The older crowd wore more traditional costumes. 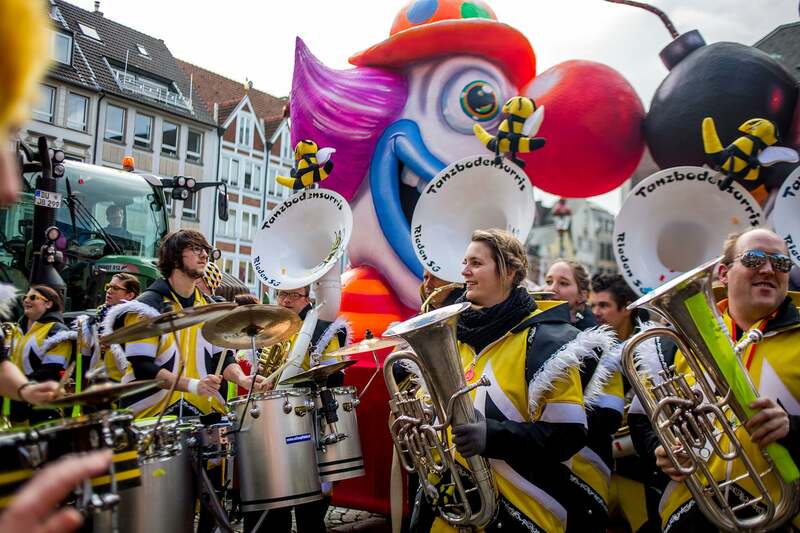 Unfortunately due to extreme wind conditions, we weren't able to see the full show, but we were able to get a good sense of what Düsseldorf’s carnival is all about. 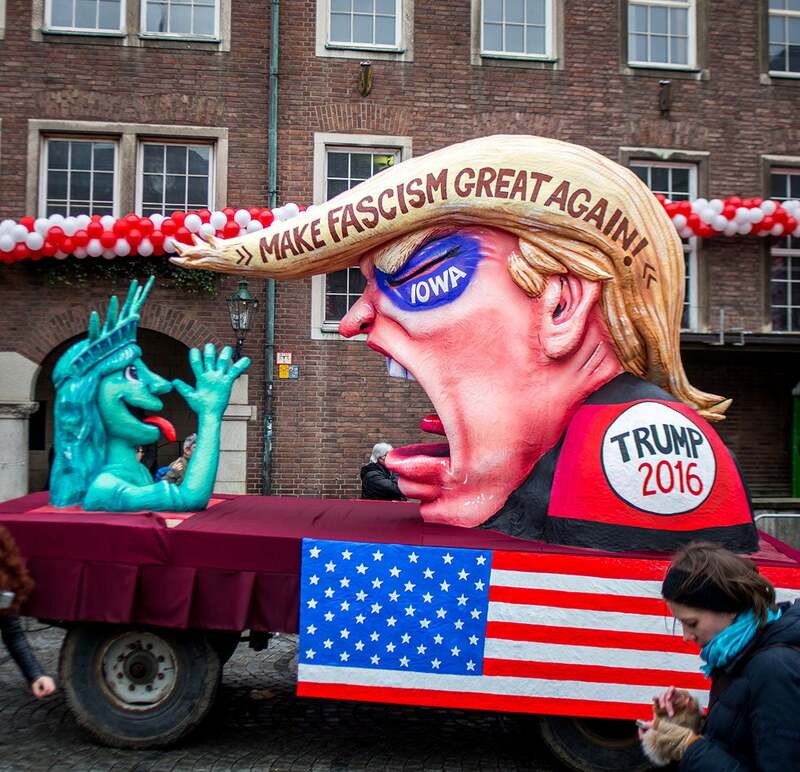 We got to see the floats in front of the their City Hall. This was one of the many favorites during the carnival. 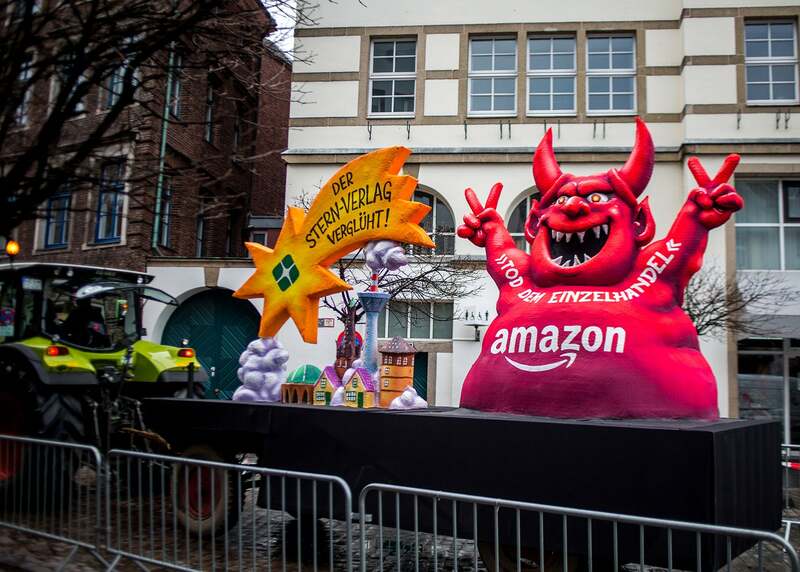 As you can see, they have the devil as Amazon.com standing next to a famous local bookstore. The star above it is loosing its light because of Amazon and that bookstore is to be closed down soon. 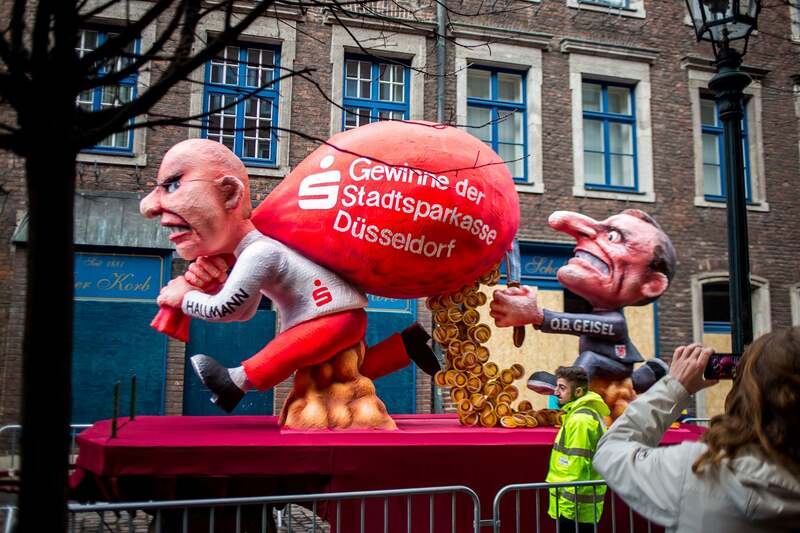 This float represents the power battle between Mayor of Dussledorf and their government banking system. The aggression is pretty apparent. 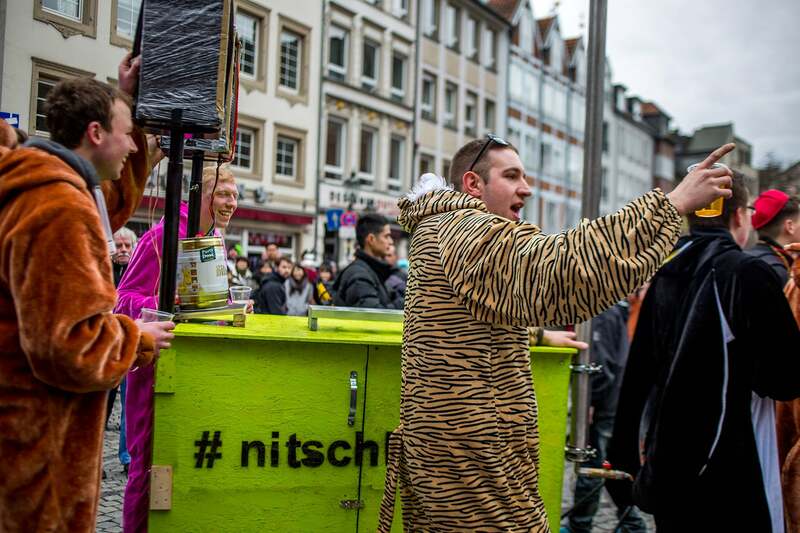 Düsseldorf’s carnival creates an outlet for its citizens to share their frustrations with the current political climate. It provides a sense of liberation in realizing that they can say what they want with no filter. 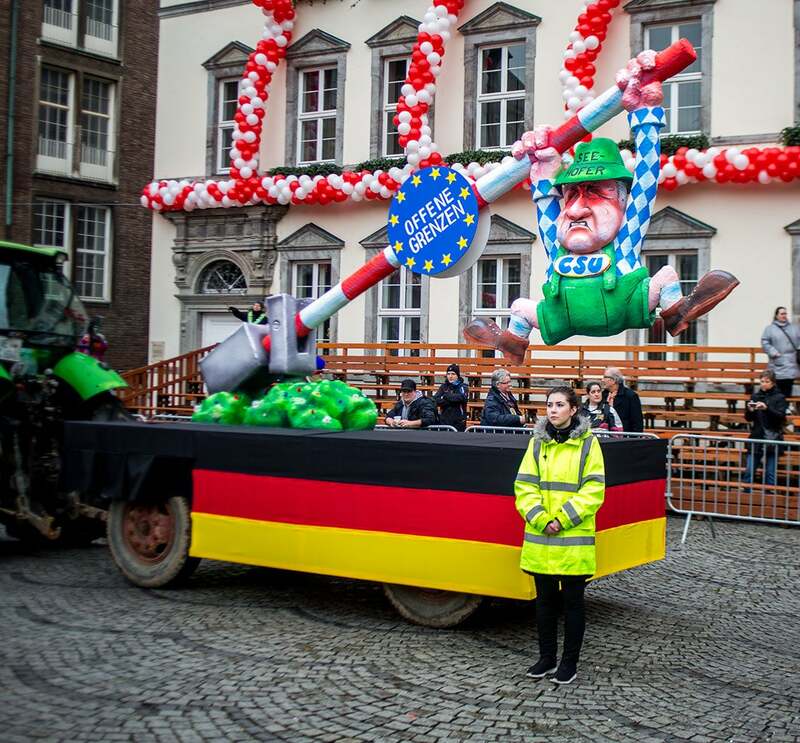 This float shows Minister President of Bavaria trying to close the gate so no more refugees can enter. 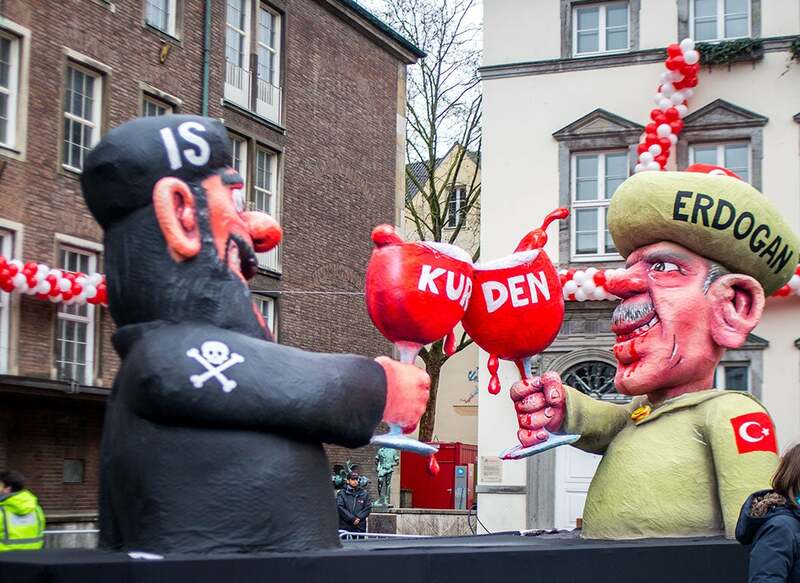 An ISIS member is shown toasting cups of blood from the Kurden people with the President of Turkey Erdogan. They’re not huge fans of Donald Trump. They think he’s a joke and hope he doesn’t become President. 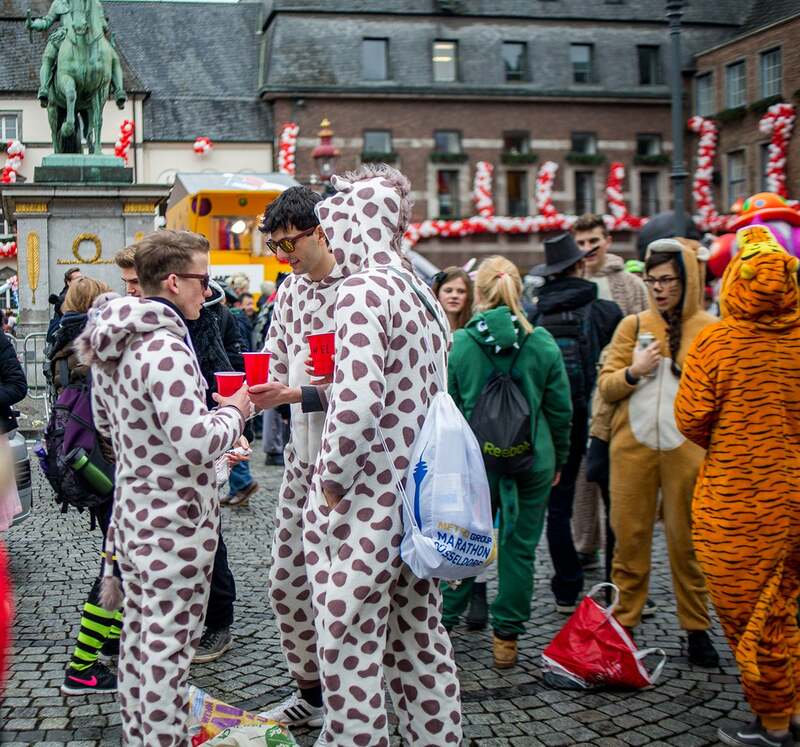 The younger crowd seemed to be drawn to these animal jumpsuits. It felt like Halloween all over again. 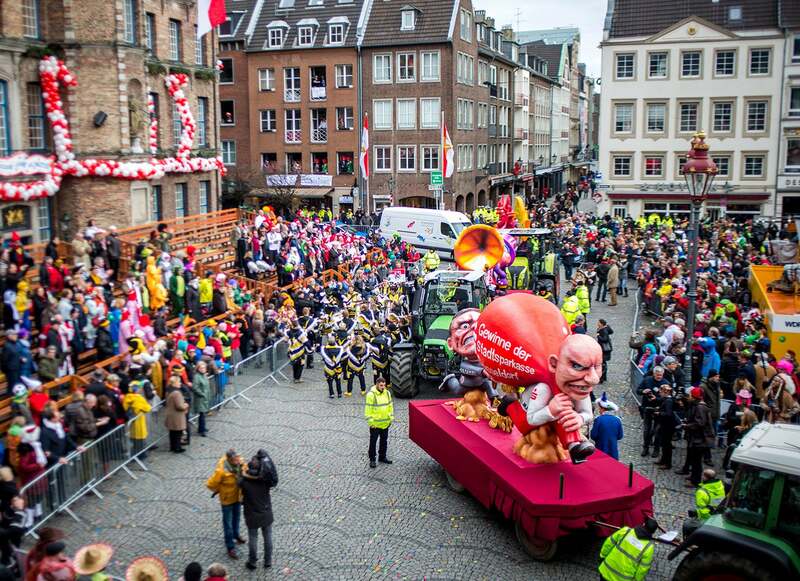 This float spoke volumes on how committed the people of Düsseldorf were about being vocal on their views during carnival. 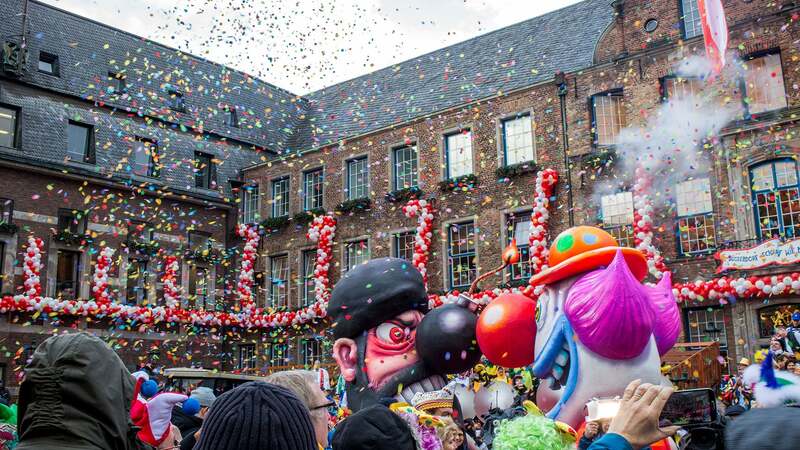 This float shows a clown, which represent carnival and a terrorist figure with a nose as a bomb. The message was that they wanted terrorist to know that they weren’t afraid, especially after the Paris attack. The live music was an experience. 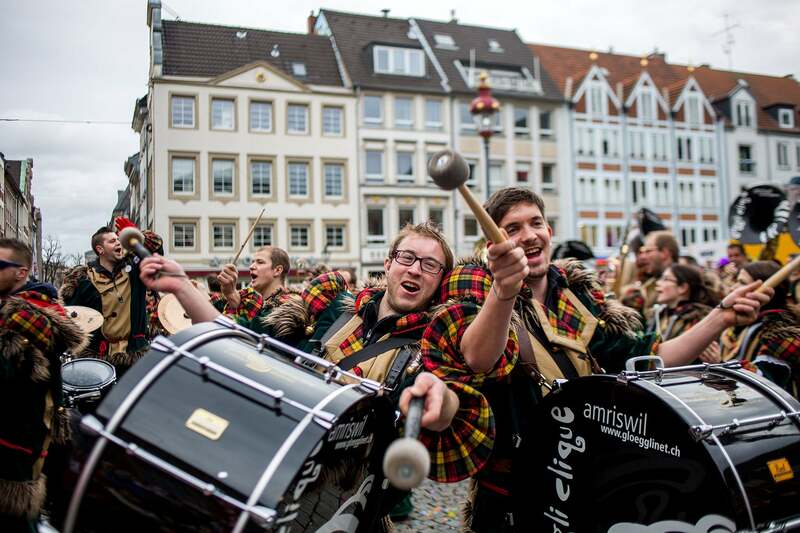 The people of Dussledorf refused to let bad weather stop the show. As you can see, they still showed up in droves ready to celebrate. 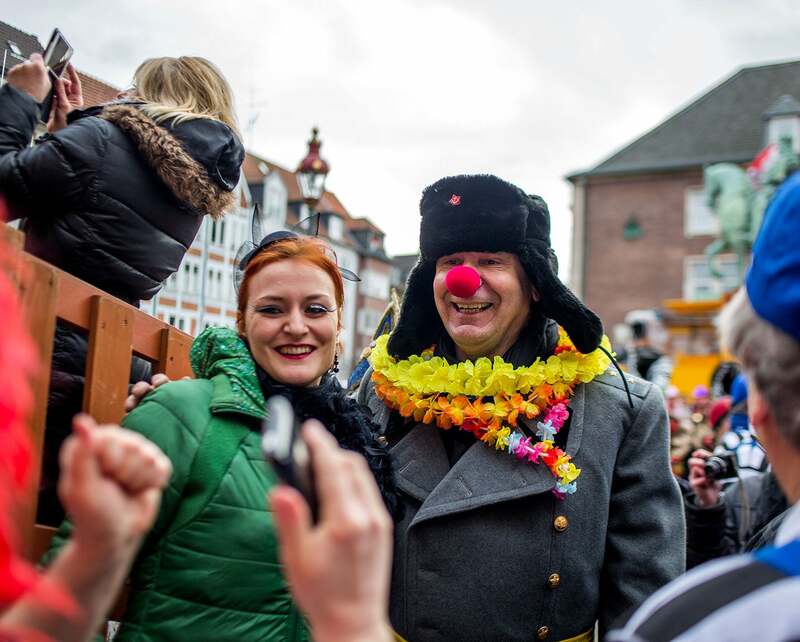 The gentleman with the red nose is Jacques Tilly. 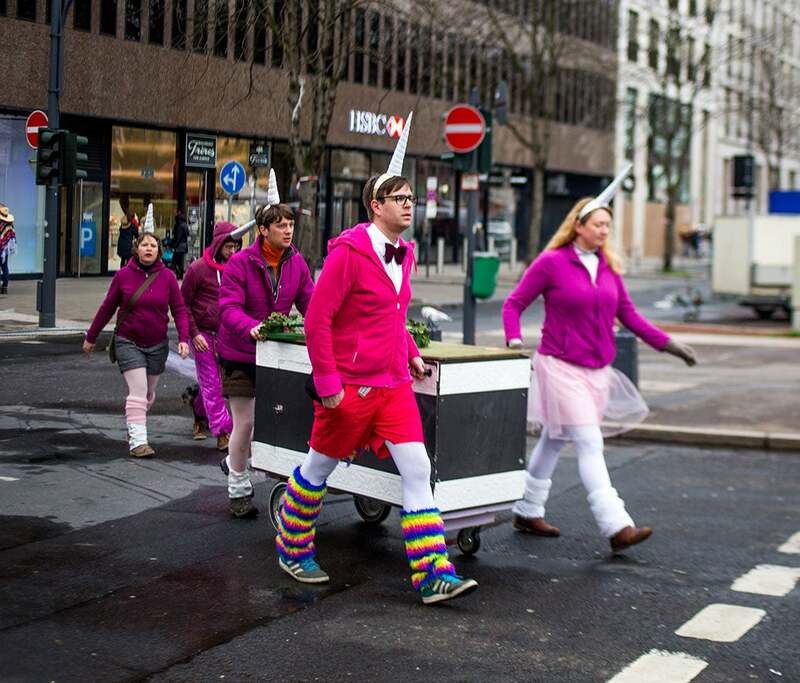 Mr. Tilly is responsible for the designs of the floats. These guys were having copious amounts of fun on their drums. 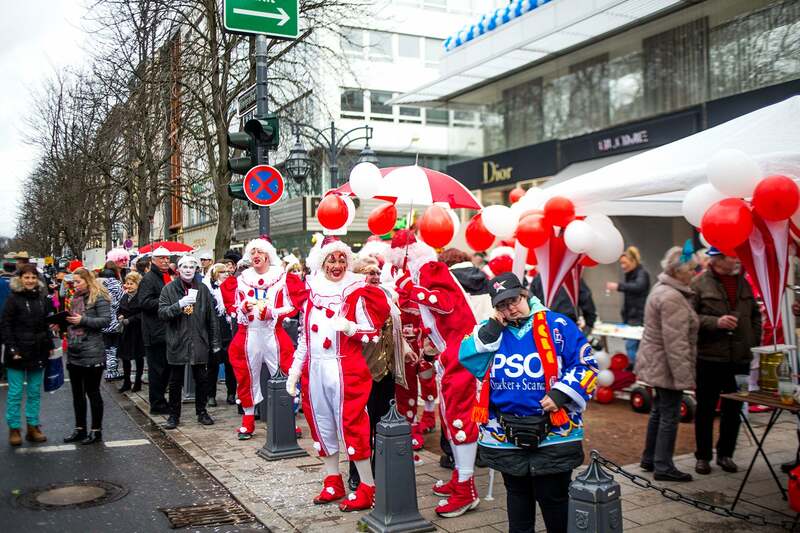 Fun on the streets of Dussledorf. Read more Black travel stories over at Soul Society.